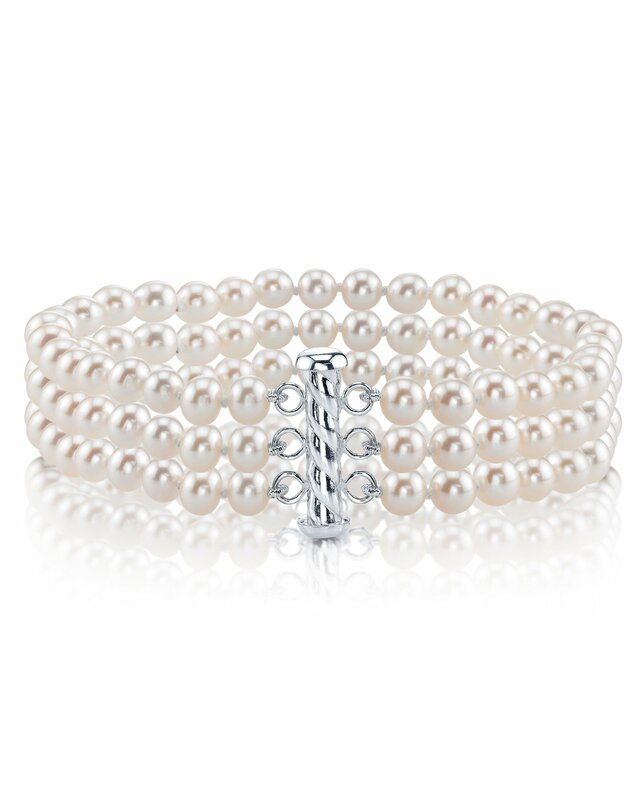 This triple white akoya pearl bracelet is certain to grab the attention of anyone who sees this beauty. 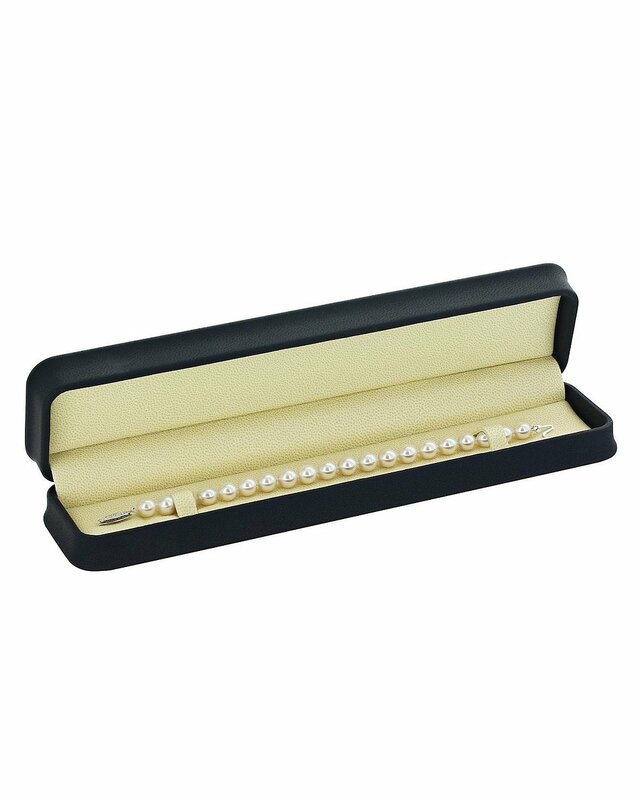 This pearl necklace is compiled of three high-quality strands of hand picked white akoya pearls with 'Very High' grade luster, our highest grade available. The pearl color on this strand is white and the bracelet comes affixed with a beautiful sterling silver clasp. 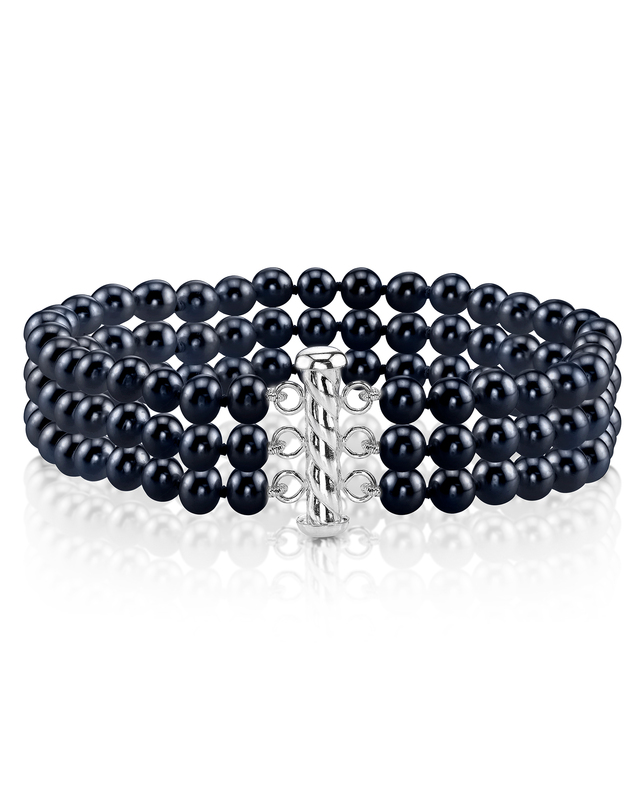 You can upgrade to a 14k clasp or diamond clasp by choosing a premium clasp on the options to the right. If you have any further questions, feel free to call us anytime at 1-866-87-PEARL (1-866-877-3275). My wife could not be happier. Goes perfectly with the earrings and necklace I purchased earlier. Highly recommend this vendor.